Green Tomato Cars was the first private hire company in Europe to take on hydrogen fuel cell cars. The environmentally friendly, London-based firm has run two Toyota Mirai cars on its fleet since 2015, completing over 25,000 miles a year in normal commercial operation. Delighted by the zero-emission, zero-problem performance of the two hydrogen-powered cars over the past two years, Green Tomato Cars has decided to add a further 50 Toyota Mirai to its fleet. The new cars are being supplied with support from the UK’s Office for Low Emission Vehicles Hydrogen for Transport programme and the Zero Emission Fleet vehicles for European Roll-out programme, funded throughout Europe by the Fuel Cell and Hydrogen Joint Undertaking. 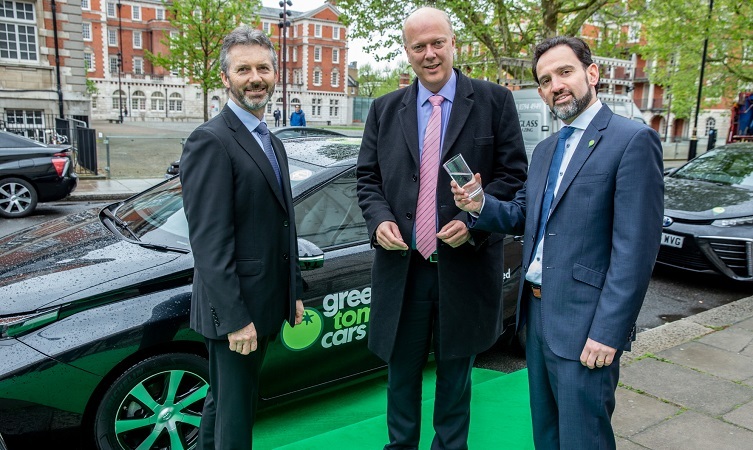 From left to right: Paul Van der Burgh, Chris Grayling MP and Jonny Goldstone with the only emission that comes out of the Toyota Mirai – clean water. 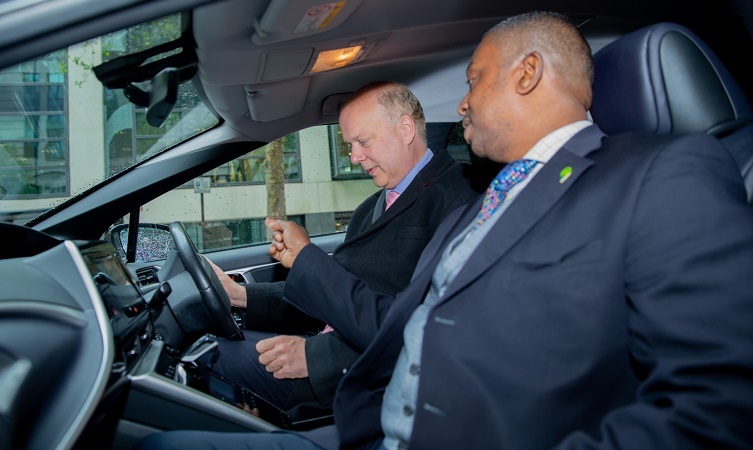 Chris Grayling MP was among the first to drive one of the 50 new Toyota Mirai hydrogen fuel cell vehicles joining the Green Tomato Cars fleet. Each Toyota Mirai on the Green Tomato Cars fleet is expected to average around 120-150 miles a day. 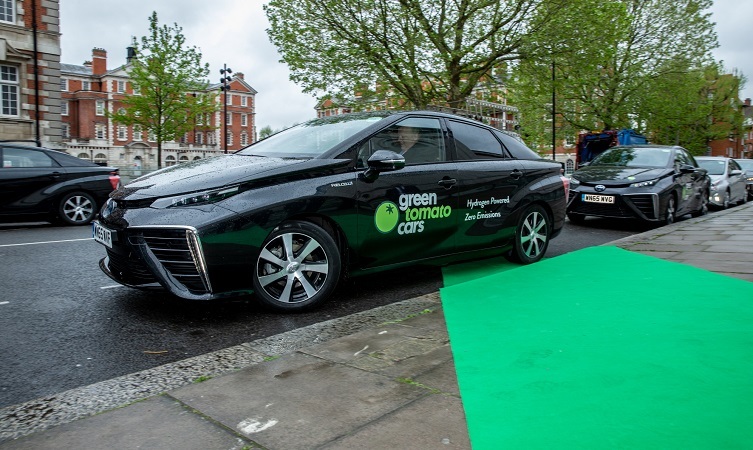 The Mirai can travel up to 300 zero-emission miles on a full tank of hydrogen, so the private hire cars should be refuelled every two days on average. Improvements in hydrogen infrastructure have increased the viability of hydrogen powered transport in the UK. Over the last year, several new hydrogen fuelling stations have opened across the UK. There are a total of six stations in and around the M25 and more are expected to be operational by the end of the year. Learn more: How does Toyota’s fuel cell vehicle work?